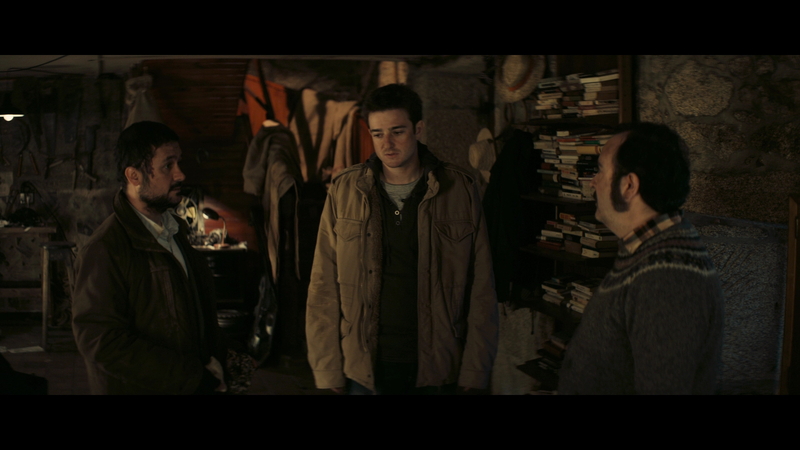 A modern Spanish take on the Wolfman legend achieves a perfect horror/comedy balance. Kaleidoscope UK region free Blu-ray release. 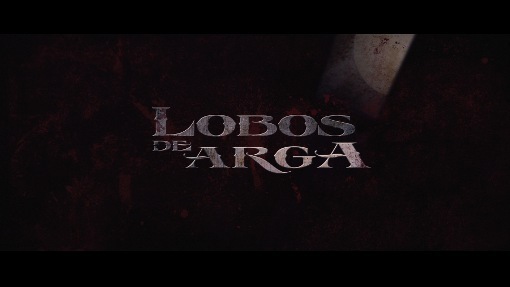 Written by the director Juan Martínez Moreno, Lobos de Arga was intended as a throw back to the classic 1980s horror films and in particular An American Werewolf in London (1981). Much like Landis' film, Moreno looks to combine both horror and comedy into a single script and does so very effectively, finding a good balance and avoiding the awkward tonal shifts that let down many other comic genre titles (cf. Shaun of the Dead (2004)). 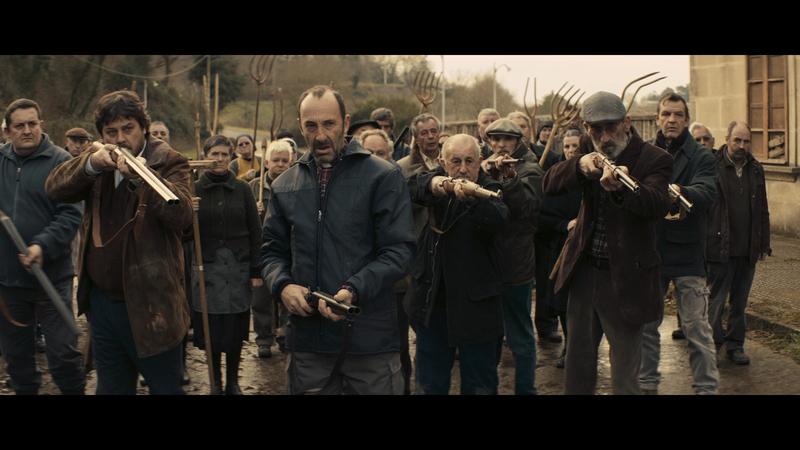 The film does start off a little shakily as though finding its feet - it builds some good background via an opening narration and the early scenes in the village, but the humour in these scenes feels a little forced. Fortunately it soon picks up and after the attempted sacrifice scene, really kicks into gear with a good storyline developing, sufficient characterisation and plenty of enjoyable twists. 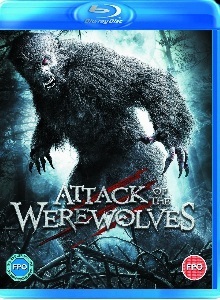 The comedy is typically on the dark side and it is never explicitly self-aware (although there is an amusing running gag about the overly specific nature of the gypsy curse, something seen in a lot of other werewolf films) which means the film never becomes bogged down in references to other genre titles (although it is perhaps slightly disappointing not to see any tribute to the classic Paul Naschy wolfman films). The film continues at a strong pace until a very dramatic and well suited climax - the ending does seem slightly overlong though, with an unnecessary scene in a graveyard, but wraps up with a superb coda. In the director's chair, Moreno is very impressive, giving the film a slick, big budgeted feel. 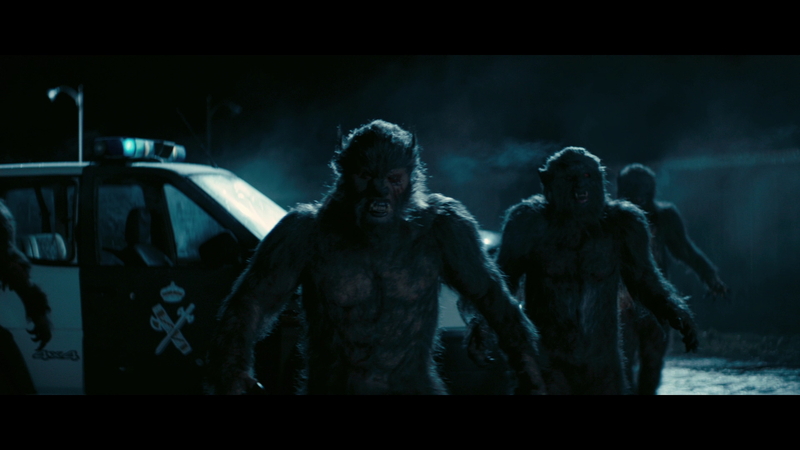 The werewolves themselves look superb - Moreno has eschewed the distinctly skinny lupine look of a film like The Howling (1981) or the old fashioned Wolf Man look of the Naschy and Universal films - instead going down the more modern almost yeti-like route with the creatures full bodied and covered in fur. 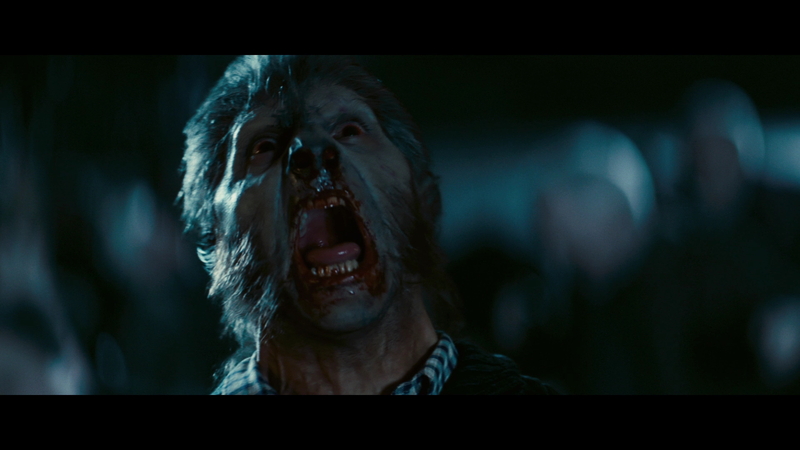 Most importantly though, the lycans and gore are all achieved with practical effects with none of the CGI that ruins so many modern genre titles. 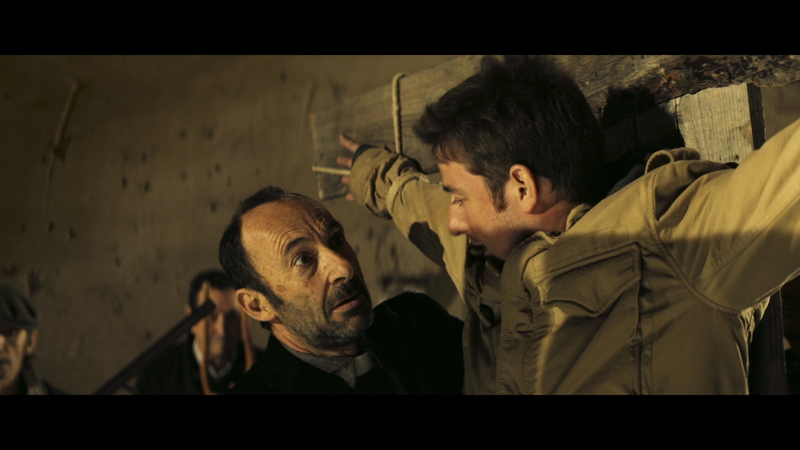 Acting is generally strong all round and the all Spanish cast includes a few familiar faces to fans of the national cinema, the lead Carlos Areces also starred in Álex de la Iglesia's Balada triste de trompeta (2010) while Mabel Rivera who plays the grandmother also starred in the creepy El orfanato (2007). A world away from the serious Spanish ghost story boom kick-started by Del Toro, Lobos de Arga is an excellently enjoyable little film with a perfect blend of old school horror and comedy with some great practical special effects, slick direction and a clever storyline. Highly recommended to 1980s horror fans. Anyone famous in it? No-one well known outside Spain. Directed by anyone	interesting? Juan Martínez Moreno - a Spanish director little known outside of Iberia, also behind self-penned films, Un buen hombre (2009) and Dos tipos duros (2003). Any gore or violence ? Several very bloody deaths. Who is it for? One for cult horror fans, particularly fans of the 1980s horrors. A strong transfer of the digital print. Audio Spanish 5.1 or 2.0 - sounds clear. Subtitles English - no problems. Original trailer - Spanish, no subs. Other regions? Also available on SD-DVD in the UK. Spanish DVD and Blu-ray releases have English subtitles (behind the scenes footage and interviews are included but unsubtitled). No current US release. Cuts? Believed to be fully uncut. Print language is Spanish. Highly enjoyable Spanish horror comedy will certainly appeal to old school horror fans. A solid looking and sounding print although otherwise barebones release. DVD Rewind - version comparisons. Every attempt has been made to transfer the images from the Blu-ray disc without compression or alteration. All text in this review written by Timothy Young - 5th November 2012.